When Water Damage Occurs, if it is not dried in time mold growth is likely to occur. If the water damaged affected area has been wet for over a week, the next course of action would be to look at would be to have air quality testing to assess the level of exposure to mold spores. This will allow us to take the appropriate course of action and treatment to ensure the safety of the occupants of the home or business. We always use a 3rd party independent environmental professional to do the assessment so that there is no conflict of interest. To book an air quality test, send us a message in our contact form of simply call us directly. 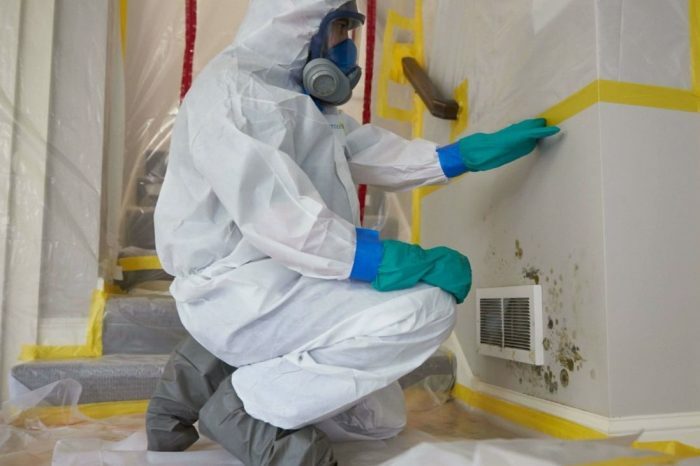 checkMold remediation is the process in which mould contaminants are removed without cross-contaminating other areas and ensuring the safety of the occupants of the home or business. checkMold/Mould Contamination in Your Home Can Be Very Detrimental To Your Health and Well-Being. Some Mold Related Conditions May Include: Fungal Infection, Mold-Induced Hypersensitivity and Mycotoxin Toxicity. For This Reason, It Is Important to Deal With Any Mold Problem in Your Home ASAP. checkMold Can Grow in as Little as 72 Hours Under The Right Conditions. If You Are Past 72 Hours Since Your Water Intrusion We Always Inspect Your Home For the Presence of Mold. Why Choose Us For Your Mold Problem? We Follow and Exceed the IICRC S520 Standard for Mold Remediation. This Means That Your Safety is Always Put First. In Performing Mold Remediation Services, All Possibilities of Cross Contamination Must Be Minimized. We Use Proper Containment and Negative Air Pressure in All of Our Mold Procedures as Well as Cutting Edge Air Filtration To Ensure Your Home or Business and Their Occupants Are Always Safe. In Addition, Our Team is Headed by a Triple Master Restorer (Water, Fire, Textile) With the IICRC. Education is the Key to Success in This Industry. Our Company Uses Cutting Edge Techniques and Products That Haven’t Been Introduced to the Ottawa Market Yet. We Import Products From the USA That Are The Next Generation of Technology and Are Far Superior. This Gives Our Company The Ability To Provide You With Better Results and in Less Time. Why Get Air Quality Testing Done? We Usually Recommend Air Quality Testing Done if Mold is Suspected. This is to Confirm the Level of Exposure and to Create the Correct Scope of Work. This is Always Done by a 3rd Party To Ensure no Conflict of Interest. After Remediation, it is Usually Also Recommended to Have a Clearance Test Done to Check That the Remediation Clean-up is Complete and Successful. Exposure to damp and mouldy environments may cause a variety of health effects or none at all. Some people are sensitive to moulds. For these people, moulds can cause nasal stuffiness, throat irritation, coughing or wheezing, eye irritation, or, in some cases, skin irritation. People with mould allergies may have more severe reactions. Immune-compromised people and people with chronic lung illnesses, such as obstructive lung disease, may get serious infections in their lungs when they are exposed to mould. Mould is a fungus, and it grows virtually everywhere on Earth. Lately, mould has become a hot topic because of increasing awareness about its potential health hazards. People aren’t exactly sure how many mould species there are, but estimates range anywhere between tens of thousands to over a few hundred thousand. Some of these different types aren’t dangerous to human health, while others lead to chronic and severe health conditions. When addressing any mould growth in your home, it’s important to understand which type of mould you’re dealing with. Each one has its own characteristics, growth patterns and health effects to be aware of. It’s also necessary to be aware of the common places to find mould in your house so you can prevent the spread of these harmful and toxic substances. Check places like bathrooms, basements, roofs and window seals for harmful mould growth. Exposure to acremonium is very dangerous and it can lead to disease in the bone marrow, immune system and other organs. Because it is a carcinogen, it can also impair brain function. Acremonium is sometimes known to grow with other types of mold including Stachybotrys, which creates a particularly unpleasant and dangerous mold problem in homes. Aspergillus is a common mold found in Canadian households. It has long flask-shaped spores that can form thick layers or walls of the mold. This creates long chains of mold growth on surfaces. Because there are over 185 species of Aspergillus mold, it can appear in many different colours. Chaetomium mould causes health effects such as skin and nail infections. In some cases, it can produce mycotoxins that are especially dangerous in individuals with compromised immune systems. Because it grows in chronically moist conditions, it is important to repair the cause of water damage in your home. This means you need to be aware of where to find it. Chaetomium mold can grow in places such as your roof, basement foundation or leaky pipes. Cutting off the moisture problem at the source will prevent this mold type from returning repeatedly. Penicillin is an allergenic form of mold. It is easily recognizable by its characteristic blue or green coloured surface with a velvety texture. 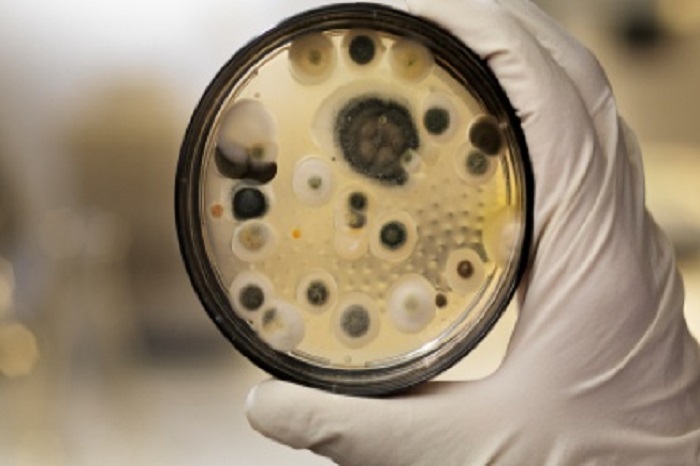 Penicillin mold is often found in water-damaged homes and buildings. It is found in materials such as carpets, wallpapers, ducting and even in mattresses. It spreads quickly from one area of the home to the next.